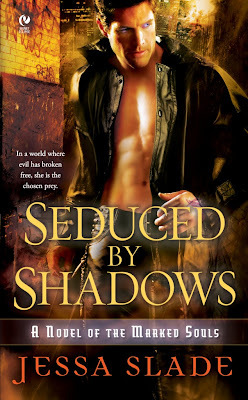 Thanks to Patricia at Patricia's Vampire Notes that brought this urban fantasy/historical trilogy to my attention. Georgia Evans (pen name for author Rosemary Laurey) has a new series called Brytewood set in England during WW2 coming out on successive months in June, July and August. 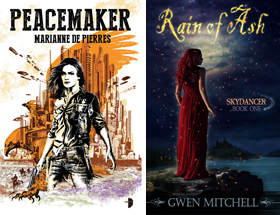 Here are the covers and you can read descriptions on her website. 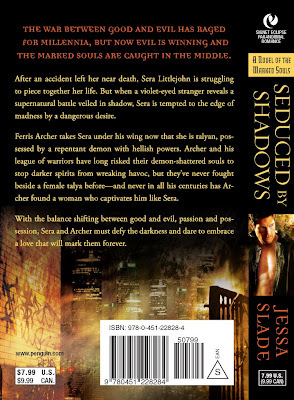 Here is the cover and back for an urban fantasy romance novel, a debut from author Jessa Slade. You can find out more about her new Marked Souls series on her website.